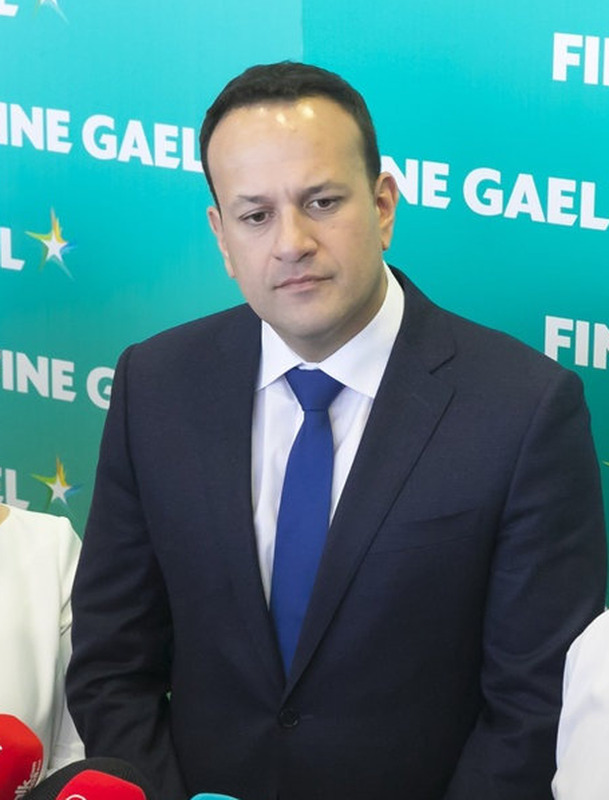 Taoiseach Leo Varadkar last night launched a personal attack on Fianna Fail leader Micheal Martin and accused him of engaging in "conspiracy theories" during a live televised address to the nation. In a significant escalation of political tensions, the Taoiseach said: "Fianna Fail is a party with no ideas, no policies, no alternatives. "I'm sorry, Micheal, but hurling from the ditch isn't a policy, conspiracy theories don't constitute analysis, and finger wagging isn't a solution," he added. Speaking at Fine Gael's national conference in White's Hotel, Co Wexford, Mr Varadkar also said the "values of Sinn Fein are toxic". "We see it in the culture of bullying, in the personalised aggression in the Dail, and on those occasions when the mask slips," he said. "They don't respect our courts, they don't respect our gardai, they don't respect any of the four parliaments they are elected to, including the ones they turn up for, they don't respect our democracy." The Taoiseach said "under no circumstance" would Fine Gael enter into government with Sinn Fein after the next general election, which he said will be held "at some point between now and the summer of next year". Mr Varadkar also said the "biggest threat" to resolving the housing crisis would be a change in policy. He said Fine Gael's policies were "starting to work" and added that "we need to stay the course". "When it comes to housing, while it may not always feel like it, we are making progress - lifting thousands of families out of homelessness, helping first-time buyers, capping rent increases and enhancing tenants' rights," he added. He also announced his "five steps to build a better future" which harked back to former Fine Gael leader Enda Kenny's Five Point Plan ahead of the 2011 General Election. The Taoiseach's five points are: 1) create a strong economy; 2) make sure Ireland is a society in which nobody feels left out; 3) invest in world-class infrastructure; 4) put Ireland at the centre of the world; and 5) protect the environment. On the economy, he recommitted to his plan to increase the point at which people pay the higher rate of tax to €50,000 for a single person and €100,000 for a couple. "Let me tell you how we'll pay for it. Because there are more people working every year, and people are earning more, we'll take in about €1.8bn extra in income tax. I want to give about half of that back to you, taxpayers and pensioners," he said. "This is a policy for the many, not the few, and will benefit more than a million people. "If it's not done, more and more people will fall into the high tax band every year, losing most of any pay increase to the taxman. That's not fair. And it's something we're going to change." In a plea to older voters, Mr Varadkar noted that the State pension had increased by €850 a year since 2016. "We recognise and value the contribution pensioners have and continue to make to this country," he added. Mr Varadkar insisted Brexit will not "define" Ireland, no matter what the outcome of the negotiations. "Brexit will define and consume the United Kingdom for the next generation. It doesn't have to define us," he said. "We are in control of our destiny, and have the power to build a better future for all of our citizens." The Taoiseach said he learned about leadership and about the "things that are necessary for success in politics" from Brexit talks. "Above all, you need the right team. You need the right values. And you need the right policies," he said. "Brexit has shown that Fine Gael can be trusted with the greatest challenges. You know our team - you know what we stand for. And you know we deliver for Ireland," he said.